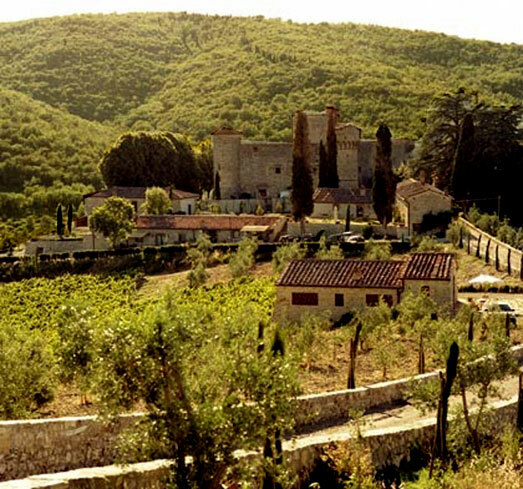 This massive Castle rising in the heart of the Chianti is a perfect location for your dream wedding in Tuscany. 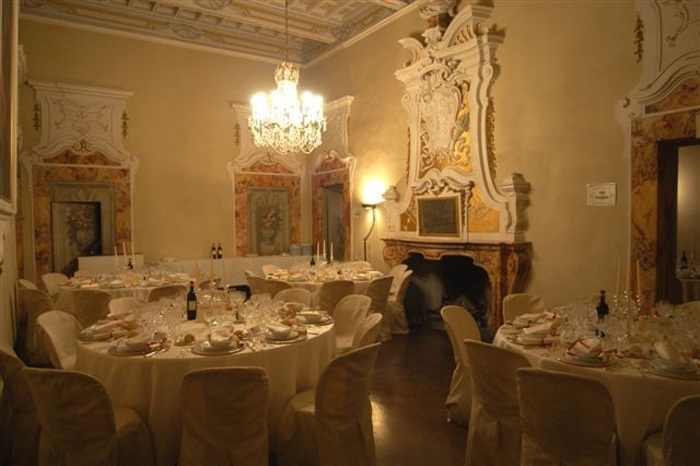 This magnificent wedding location offers accommodation up to 75 guests: experience the atmosphere of this typically medieval Tuscan castle in the accurately decorated rooms and suites. The charming apartments in the rustic houses, formerly farmers’ houses, have been recently renovated and each features its own terrace or garden. Our wedding planner team definitely recommends this venue for a typical Tuscan wedding experience for medium – large wedding groups (50-150 guests). 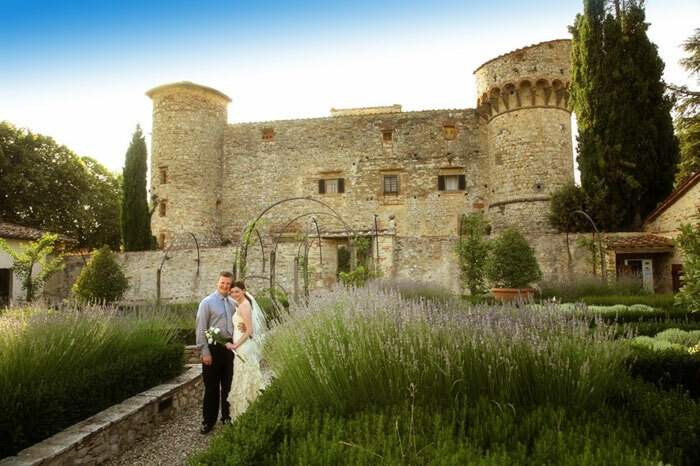 With its gardens and swimming pool and views on the countryside and vineyards this castle provides the perfect setting for your wedding in Chianti, Tuscany. To make this wedding castle in Tuscany even more charming, a small 18th century theater is available to prepare a musical surprise for your guests. 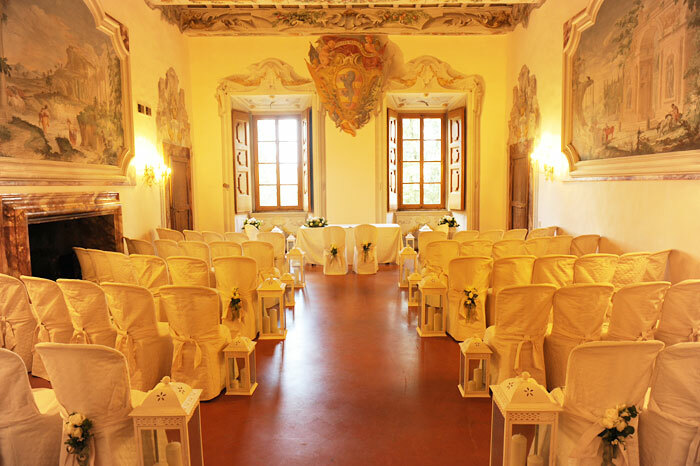 Your civil wedding ceremony could take place in one of the near by Town Halls Siena Town Hall and Castellina in Chianti Town Hall. 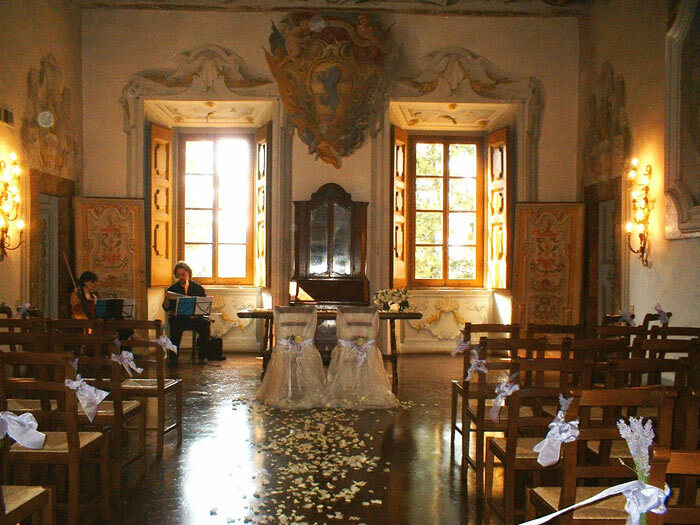 Your Religious wedding is possible in the Church nearby and your symbolic wedding blessing turns into a fairytale at various outside spots of this unique Tuscan castle! Your wedding dinner reception can be organized in the stunning halls of the Castle or in the renovated wedding hall next to the Castle. Outside: in the garden with beautiful view on the Castle. A romantic wedding aperitif reception can be held in the garden with view on the Castle.